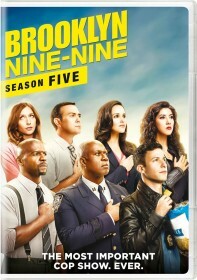 FOX today announced it has renewed Brooklyn Nine-Nine for a fourth season in 2016/17. The announcement came as the network also renewed the sitcom The Last Man On Earth for a third season. "We're so proud of these comedies. Each has its own unique voice, but they both boast terrific ensembles with stand-out characters and, of course, phenomenal writing, which are the hallmarks of all great comedies," David Madden, President of Entertainment at Fox Broadcasting Company. "We'd like to thank the executive producers, casts and crews of Brooklyn Nine-Nine and The Last Man on Earth for their tremendous work this season, and look forward to what's in store next year."